A cold Autumn morning today. The car thermometer read 6 degrees, and boy was there a chill outside. Granted that we do not experience cold like the northern states of the US or Canada, however, for a Melbourbinite, it was cold. I guess wearing a short sleeve shirt didn’t help. 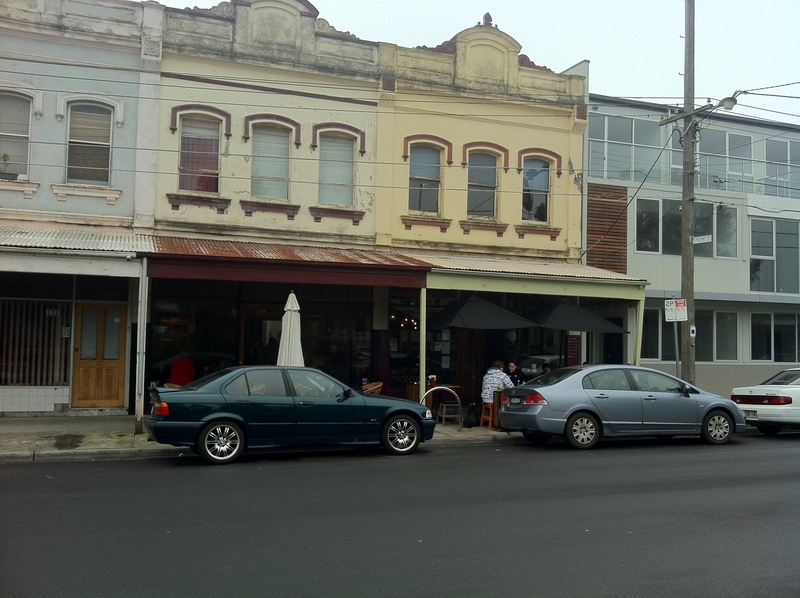 Going towards Brunswick, the drive was a little “Sherlock Holmes”. A cold misty morning on Baker St. Fog was making seeing a little difficult, but, it felt like it was going to be a nice day. Miss Marmalade, located on Union St, looks quit non descriptive from the outside. Inside was cosy. It had a homely feel, with friendly staff, great atmosphere. The menu was traditional, usual breakfast items, with lunch items as well. I just wanted something simple today. 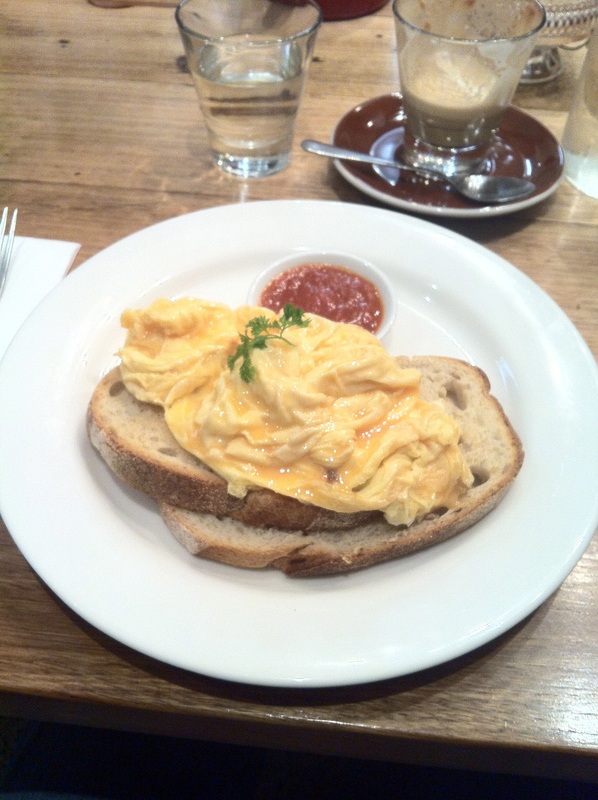 Scrambled eggs on toast. They serve this with a chillied tomato sauce. This was nice. It was made simply, yet looked very delicious. Scrambled the way I like it. The scrambled was delish. The chillied tomato was a great start. 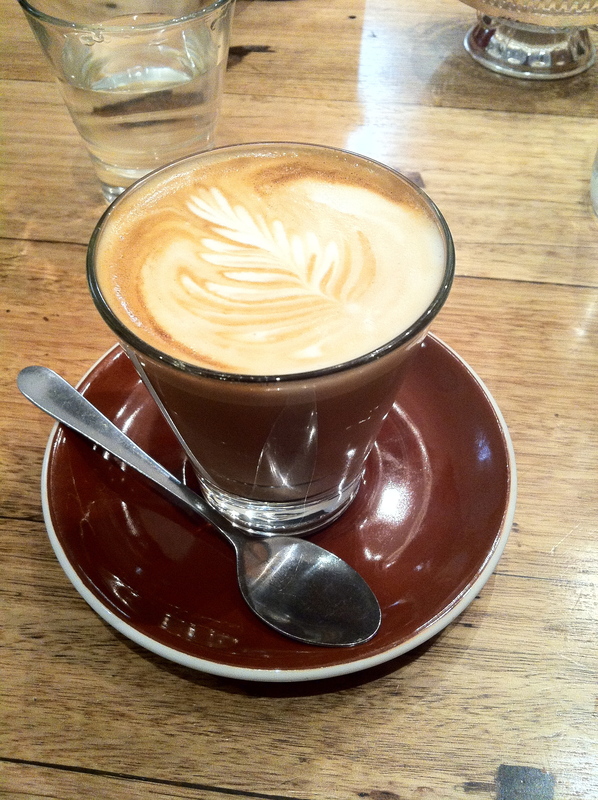 Using the 5 Senses Coffee, with a Synesso Machine, I was expecting a good coffee. Although, I guess you all know my take on expectations. The coffee had a mild aroma, almost non-existent. It was a nice aroma though. The first taste, I could feel the acidity on the tongue, it was full-bodied in flavour, with no sign of bitterness in the coffee. After a while, the sweetness started to come through in the coffee. It was enjoyable. Rating : 6.5 Nice coffee.